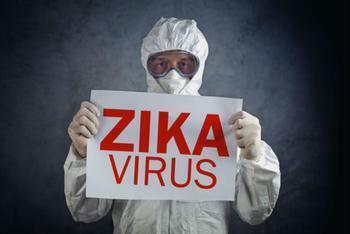 The Zika virus has been around for decades, carried by mosquitoes and infecting humans. Why are we only hearing about it now? The simple answer might be that everything tends to get blown out of proportion these days, with the 24-hour news cycle and the proliferation of social media. But the less simple answer might come from researchers at UCLA. These scientists say Zika is a bigger threat than it once was because it is rapidly mutating, and that is aiding in its transmission. In other words, it's not your father's Zika virus. “The Zika virus has undergone significant genetic changes in the past 70 years,” senior author Genhong Cheng, said in a release. Cheng, a professor of microbiology, immunology, and molecular genetics at the UCLA Medical School, says scientists have traced the virus' genetic mutations, and that has helped them understand how the virus is spread and why it can cause different diseases. In the past, the Zika virus was mostly a mild annoyance. It was just another minor illness spread by mosquitoes. What has been coming out of South America lately is something else entirely. Now, researchers have connected the Zika virus to microcephaly, a fetal brain development disorder, and even Guillain-Barre syndrome. It's no longer just spread by mosquitoes either. A fetus is affected by an infected mother. A mother might contract the illness, not from a mosquito bite, but from sexual contact. Complicating the matter is the fact that there is not just one strain of the Zika virus; researchers have found at least 41 different strains. The UCLA scientists say most strains originated from humans and only 10 came from mosquitoes. One came from monkeys. U.S. health officials are concerned about the potential for wider outbreaks with the arrival of prime mosquito season in the spring and summer. So far, the limited cases in the U.S. have been brought back from other countries. Cheng says his team's research has raised more questions than answers. He says a lot more research is needed to better understand the link between Zika and other diseases.